Gilles Deleuze (1925-1995) was Professor of Philosophy at the University of Paris VIII. He is a key figure in poststructuralism, and one of the most influential philosophers of the twentieth century. "Nietzsche and Philosophy" has long been recognised as one of the most important accounts of Nietzsche's philosophy, acclaimed for its rare combination of scholarly rigour and imaginative interpretation. Yet this is more than a major work on Nietzsche; the book opened a whole new avenue in post-war thought. 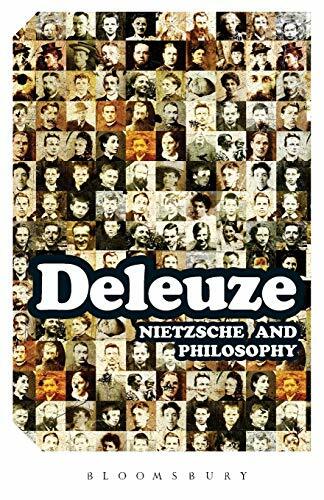 Here, Deleuze shows how Nietzsche began a new way of thinking which breaks with the dialectic as a method and escapes the confines of philosophy itself.